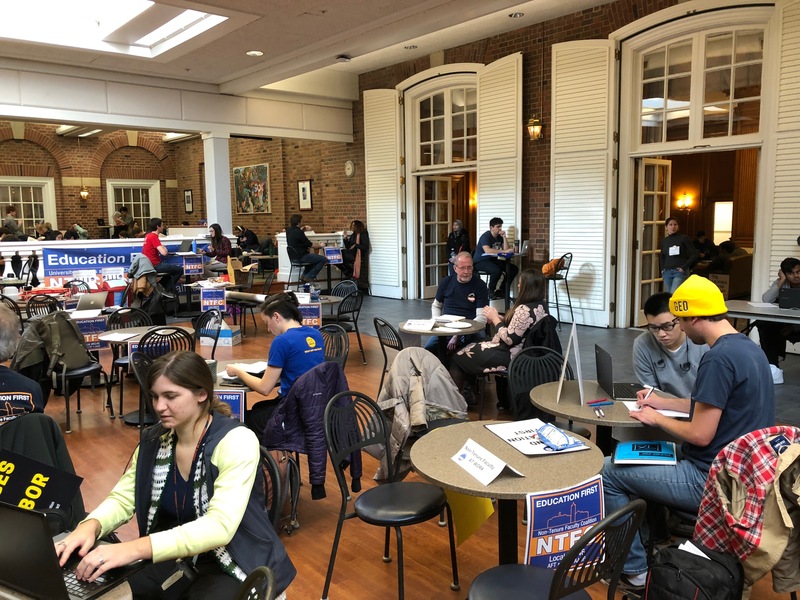 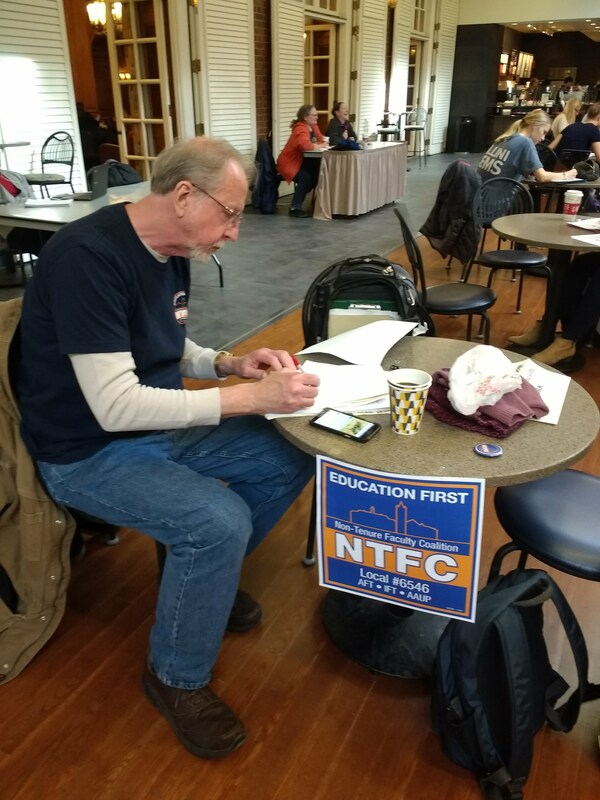 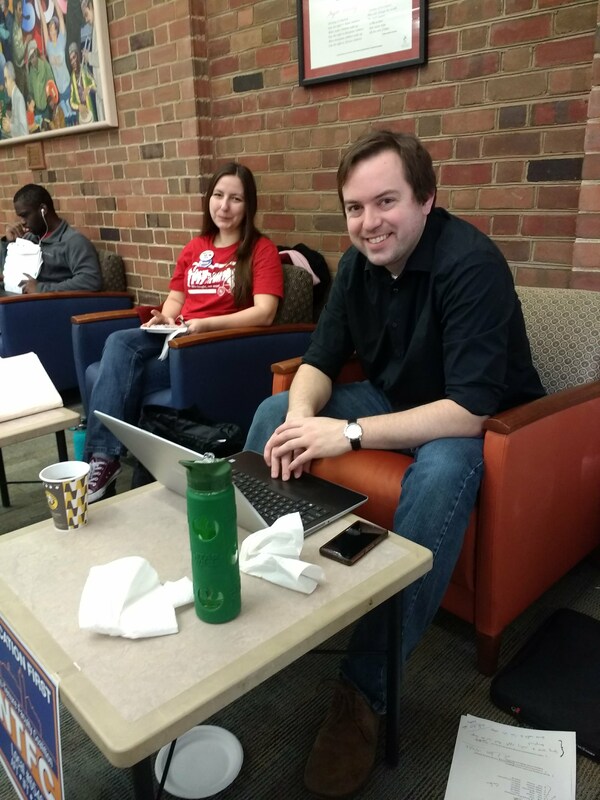 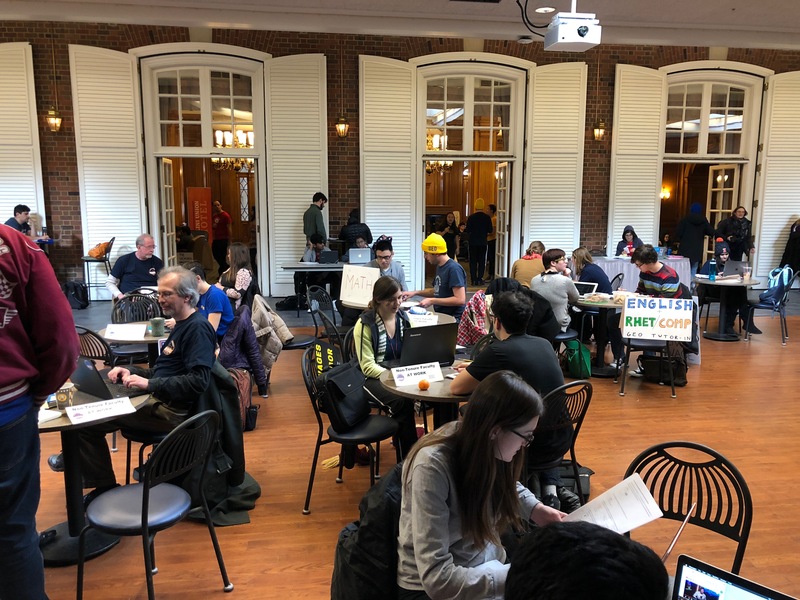 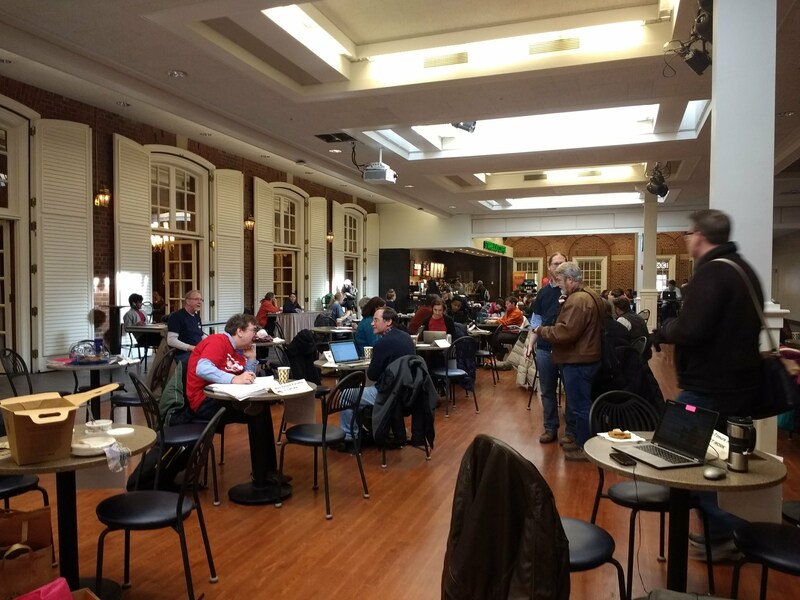 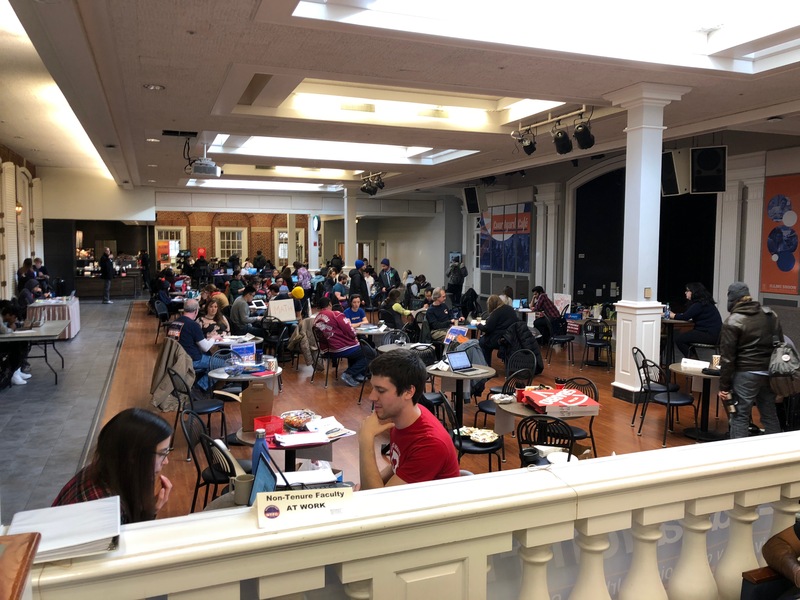 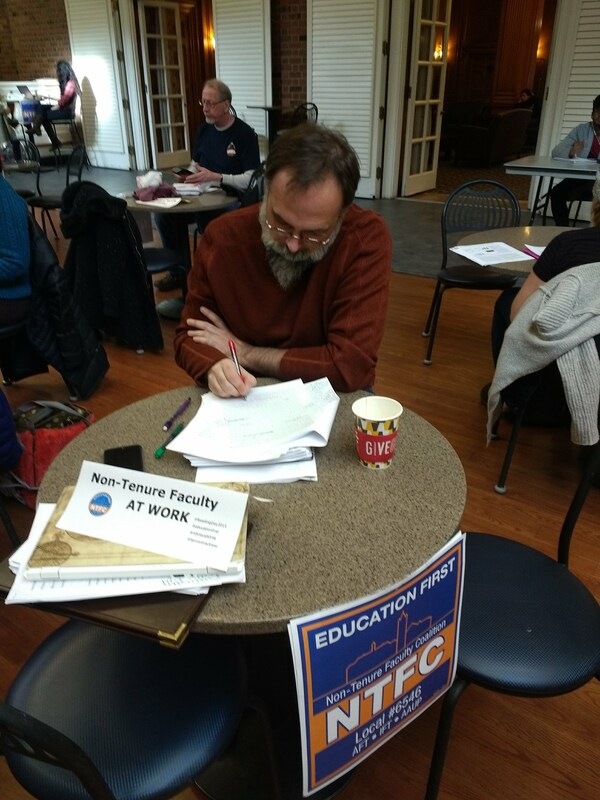 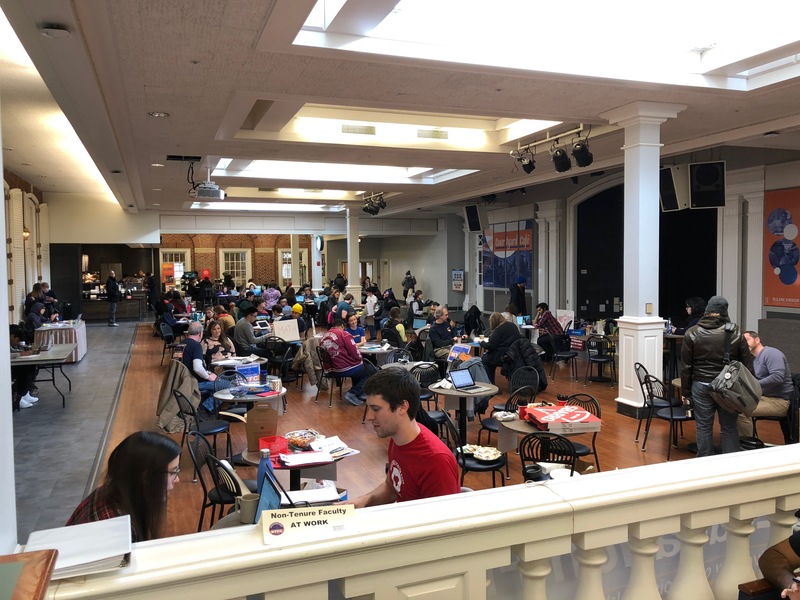 NTFC hosted a Work-In on Reading Day, December 14th, in the Illini Union Courtyard Cafe. 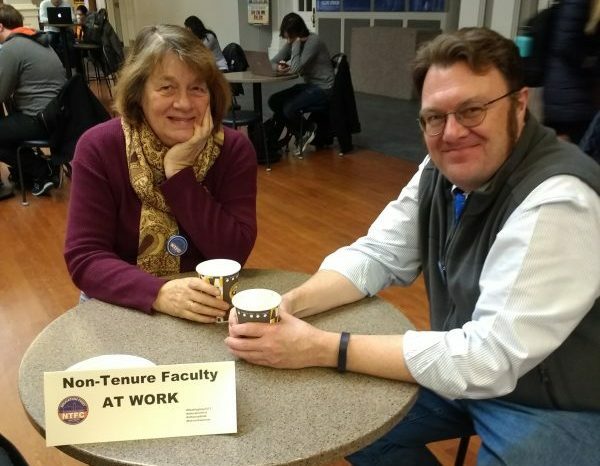 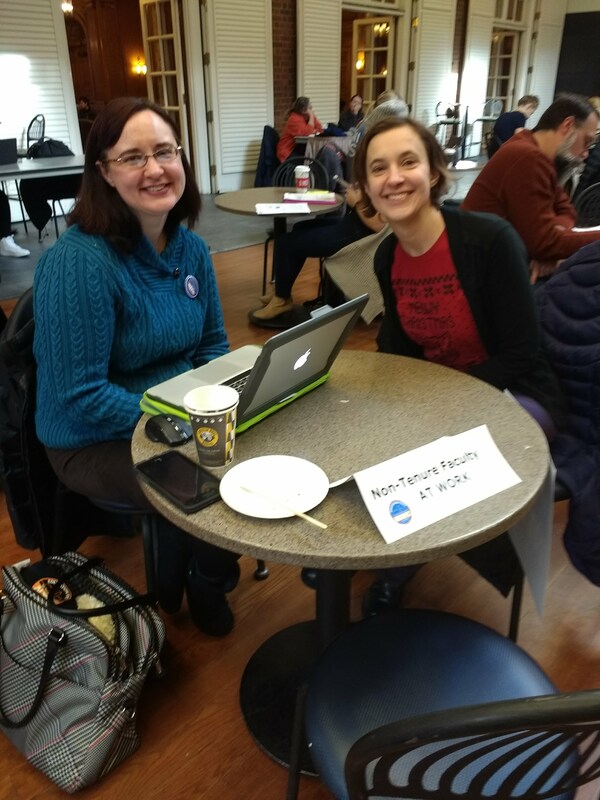 Faculty members from many departments came to grade papers, meet with students, and discuss work and union-related issues. 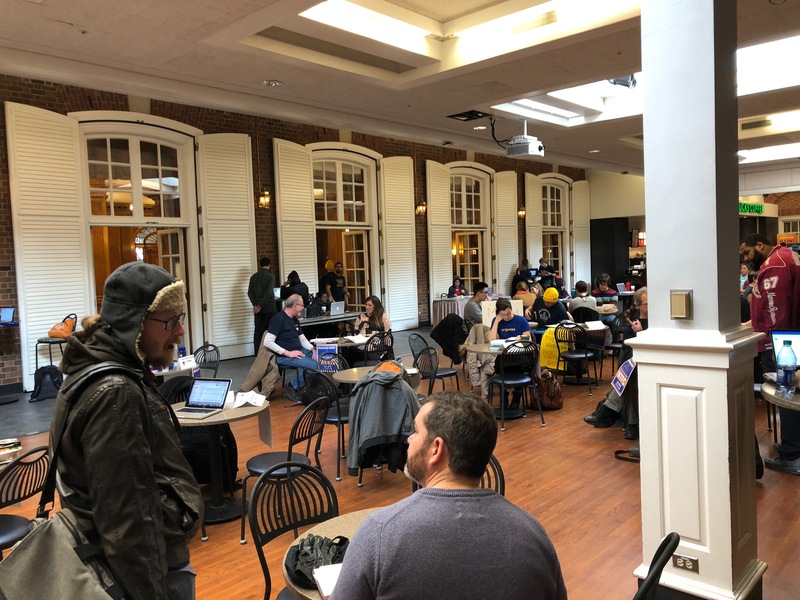 Bagels, pizza and coffee were served to give members the energy needed to push through the last days of the semester. 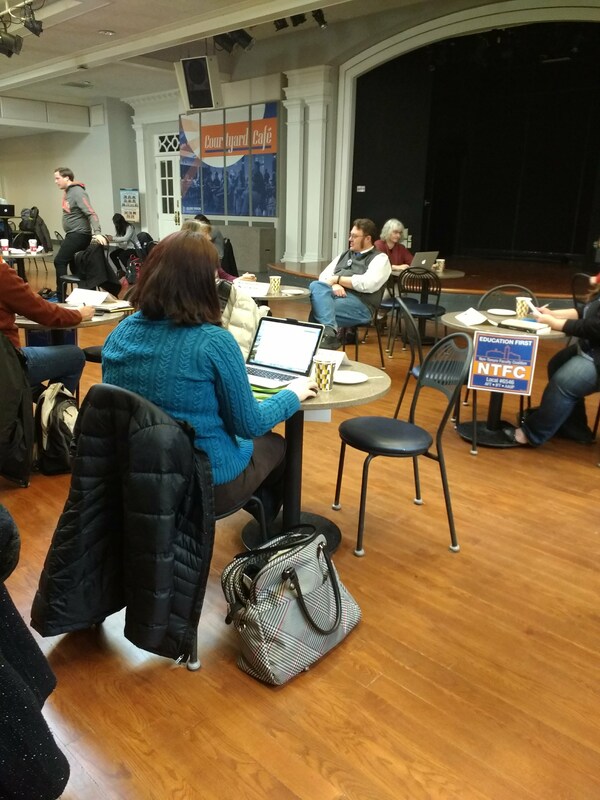 Members from GEO and other local unions joined us in solidarity. 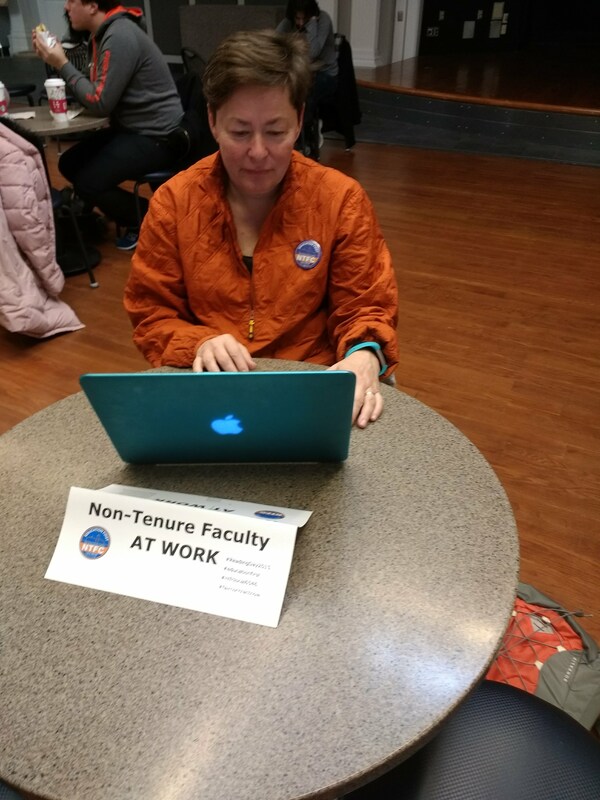 Our members are passionate about being available for their students and having a strong presence on campus.